Under the direction of Colombian coach Juan Carlos Osorio, former coach of Sao Paulo, Mexicans have experienced great football spikes and low-stakes disastrous displays. Bold, the commander promotes many changes in the team and often resorts to extremely offensive strategies. They worked hard to secure the place in qualifying for CONCACAF, which brings together the federations of North, Central America and the Caribbean. The Mexicans secured first place in the final hexagonal, the fifth and final phase of the tournament, reaching 21 points (six wins, three draws and a loss). They were five more than Costa Rica, second placed. However, the offensive posture has made the team in easy moments, especially against higher-level rivals. It was so in the Confederations Cup and especially in the Copa America, when Mexico took 7 to 0 of the selection of Chile, who did not even get the place in the 2018 World Cup. Convicted in his thoughts, Osorio, although much criticized by the Mexican press, is not willing to change his plans. For this Friday’s friendly against the Icelanders and for the match against Croatia on 27 March, he kept the base of the group that has been calling frequently. A low, however, was inevitable. The striker Giovani dos Santos, injured, was off the list. In the matter of news, the surprise was due to the midfielder Jonathan Gonzales. The 18-year-old playing in Monterrey was called for the first time. 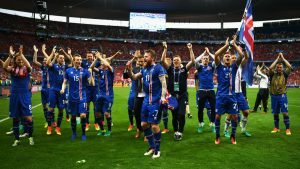 Country with the smallest number of inhabitants that will be represented in the World Cup, Iceland attracted world attention by eliminating the powerful England in Euro 2016. Failed to pass France, its rival in the quarterfinals, but entered the history of the tournament in its first participation in the final phase. After this zebra, the campaign in the European qualifiers was not considered a big surprise. A rush in the final stretch put Iceland at the top of Group I with 22 points (seven wins, one draw and two losses). The preparation for the World Cup already has four matches. The first two with the main team. In November, Iceland lost 2-1 to the Czech Republic and drew 1-1 with Qatar. The team also made two friendlies at the beginning of 2018. In January, however, it can not count on the athletes who work abroad. Despite reservations, the Icelanders thrashed Indonesia twice – 6-0 and 4-1. Although they did not have a high technical level, these last two friendlies served for the coach Heimir Hallgrímsson to test some of the few options he has. After all, in a country with a low population this directly reflects the number of players available. Therefore, there is no way to ‘waste’ any talent whatsoever. That’s why Nantes striker Kolbeinn Sigthórsson, who stayed for about a year away and returned to the pitch recently, was also included in the friendly list. Although the field is theoretically neutral, the whole cheer must be formed by the Mexicans, who are very close to home.